No-Face is a lonely spirit who begins to follow Chihiro Ogino after having developed an interest in her sincerity. His vocabulary consisted of grunts and moans as opposed to coherent words. Not knowing much about the Bathhouse or about other spirits in general, No-Face learned by example and adapted to his surroundings. No-Face is initially just following Chihiro around, seeking to get her approval. He offers her bath tokens and such but Chihiro constantly turns him down. The only other people he interacts with are the bathhouse workers. Most of them are portrayed as very greedy, jumping at the chance to collect gold that No-Face drops on the floor. The more he interacts with these workers, the greedier he becomes as well, literally turning into a monster that consumes everything in its path. Just like a child, No-Face learns from the environment around him. However, later on he interacts more with Chihiro and Zeniba and eventually calms down. He stays with Zeniba, who we know will teach him good things. That’s why I like No-Face. A gentle, good-natured ghost who sometimes becomes violent. A ghost is not present, wearing a mask of soul. It seems to represent greed, but also represents human nature, when it is overwhelmed greed. 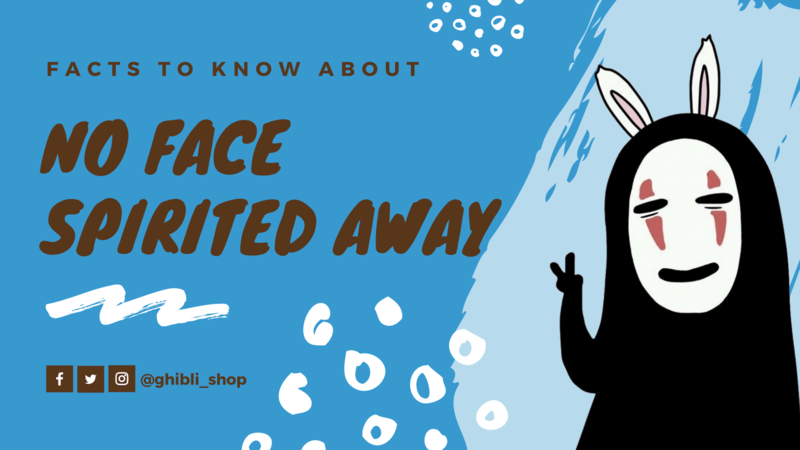 If you are a fan of Spirited away in particular and Ghibli in general, if you love Chihiro, Haku, No-Face or other Ghibli characters and if you want to live the life of Ghibli, the best way is through the cute merchandise of Ghibli. Here are some suggestions that we give you.